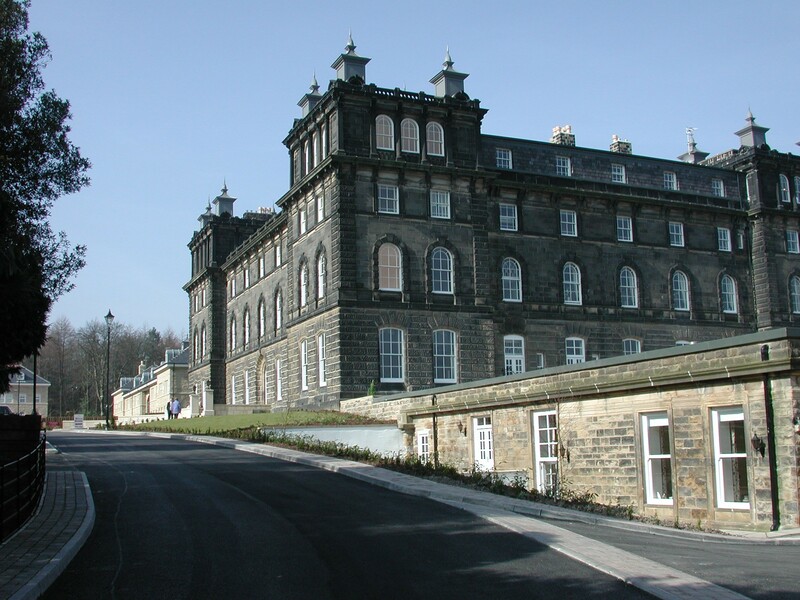 The West Riding Lunatic Asylum in Wakefield was one of the largest and most famous asylums of the Victorian era, and a significant location in the development of psychiatry and the neurosciences in Britain. The Asylum – located around one mile north of the centre of Wakefield – first opened in 1818, only the sixth new asylum to be built under the County Asylums Act of 1808. The designs for the new institution were overseen be Samuel Tuke, a member of the Tuke dynasty associated with the famous Quaker Retreat in York, an establishment which provided the model of moral treatment that dominated British psychiatry through much of the nineteenth century. 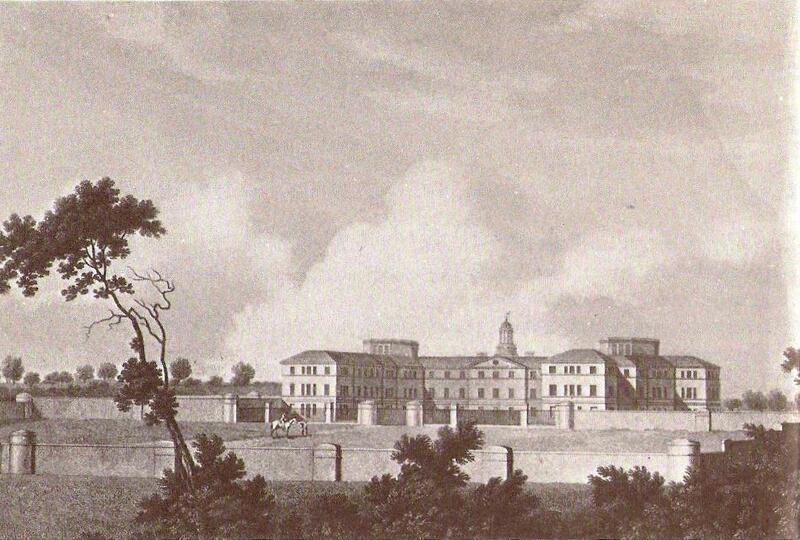 Prior to the construction of the Asylum in Wakefield, the only other public asylum in the county was the one at York, which had itself been the site of a number of scandals that had stimulated early asylum reformers and the founding of the Retreat. Yorkshire has long had a history in the world of asylums. The first director of the West Riding Lunatic Asylum was William Charles Ellis (1780-1839), a noted phrenologist and early proponent of moral treatment and “therapeutic employment”, who later became the first British psychiatrist knighted for services to the field. In the thirteen years he spent at Wakefield, the capacity of the Asylum grew from 150 to 250 patients, and in the following thirty five years after he left, under the directorships of four different medical men, it continued expanding to accommodate over 1,100 patients. Such expansion was in line with the enormous and well-documented growth in asylums nationally during the middle decades of the century, with the number of officially insane in England and Wales rising from around 5,000 in 1818 to around 50,000 in 1866. The most significant era in the Asylum’s history came under the leadership of James Crichton-Browne (1840-1938), who was superintendent from 1866 to 1876. He was the son of W.A.F. Browne (1805-1885), an alienist and close ally of George Combe who had, in 1826, introduced the young Charles Darwin into the world of radical student politics and science in Edinburgh. Under Crichton-Browne the whole Asylum became, for a brief period, one of the most active research schools in the world, concerned with advancing knowledge and treatments of insanity. 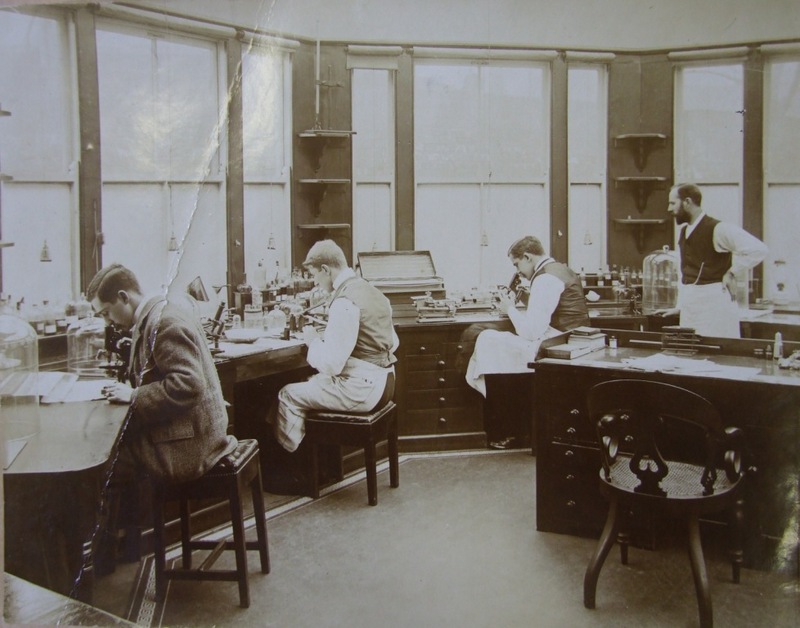 Young medical men came to use the Asylum’s newly built laboratory, or to study its patients, and had their findings widely disseminated in the Asylum’s own journal or at the annual Conversazione. The most notable work conducted at Wakefield during this time came from David Ferrier, who developed the theory of cerebral localisation through his experimental researches into the brains of animals. Operating in the Asylum’s laboratory, Ferrier produced the first map of the motor cortex in proving that different functions of the brain were located in different sites of the hemispheres. His work spread quickly, attracting both praise and criticism (the latter coming mostly from anti-vivisection campaigners). In 1878, he and Crichton-Browne, along with John Charles Bucknill and John Hughlings Jackson – who had also contributed to the Asylum’s journal – founded Brain, a journal of neurology which continues today and can be considered a lasting legacy of the Asylum’s scientific endeavours. After Crichton-Browne left, the scientific reputation of the Asylum was continued well into the interwar years through the work of successive superintendents H.C. Major, W. Bevan-Lewis and J.S. 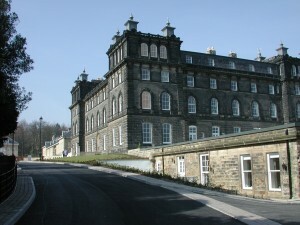 Bolton, whilst new sites built in Middlewood, Menston and Storthes Hall, and a separate institution in Wakefield for acute cases, greatly increased the lunatic population of the West Riding. The Asylum offered the full array of mid-twentieth century chemical, mechanical and electrical psychiatric treatments, and was gradually down-sized during the period of ‘de-institutionalisation’ throughout the 1970s, 80s and 90s, finally closing its doors in 1995. The last major news story from the Asylum – which came to be known as the Stanley Royd Hospital – was in a 1984 scandal, when a major food poisoning outbreak killed 19 patients and infected another 300. 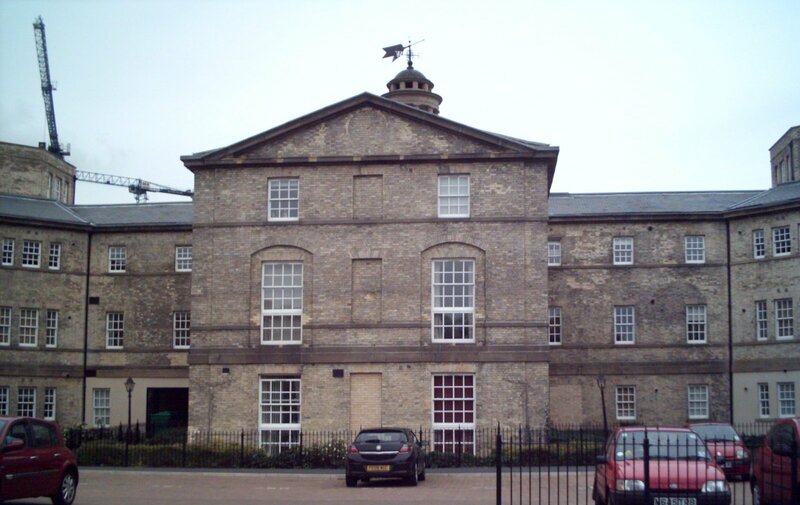 At its height in the late-nineteenth century, the site at Wakefield housed over 1,500 patients and had, among other things, its own farm, brewery, chapel, bookbinders and in-house fire-fighting service. Most of the additional buildings have now been removed, but the original 1818 building and its attached extensions still remain and have been converted into residential flats. You can wander around the site and visit the nearby Stephen G. Beaumont Museum, a small museum which displays many original objects from the Asylum. I can guarantee that virtually no readers of this article will have heard of this museum, located somewhat out of the way in the village of Glaisdale, near Whitby, North Yorkshire. It’s not a museum in the conventional sense – you can’t simply turn up, pay your admission fee and wander round. Instead you have to book in advance (£20 if you turn up as an individual, or £10 a head for groups of 2-5). In return you get a two-hour lecture demonstration of aspects of radioactivity, electrical discharges and the work of William Crookes, and (briefly) Thomson’s work that led him to “discover” the electron. I claim these as chemical discoveries, but physics colleagues might disagree. We also see demonstrations of various electrical machines including those like Priestley might have used in his experiments. These were improved during the 19th century culminating in the famous Wimshurst Machine (1880) capable of generating sparks several inches in length. The museum’s website is at http://www.museumofvictorianscience.co.uk and bookings should be made by telephone: 01947 897440. I went as one of a party of four like-minded scientists. The talk was tailor-made to our mainly chemical interests, and as they say, a good time was had by all! Original article written by Alan Dronsfield and published in V. Quirke (ed), Royal Society of Chemistry Historical Group Newsletter, February 2010. 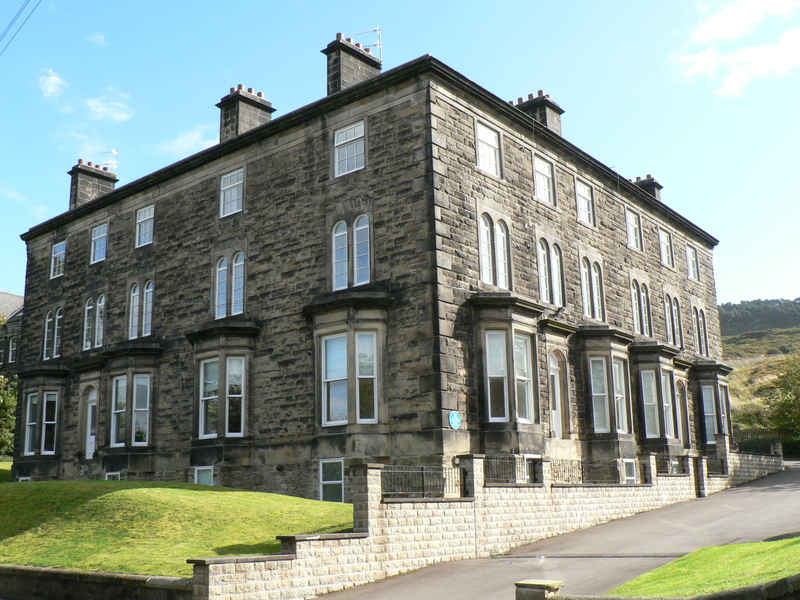 Ilkley’s only claim to scientific note (but it is a notable claim) is that Charles Darwin stayed here in 1859 at the time On the Origin of Species was first published. Figure 1. Wells House. The building is approached via Brodrick Drive off Wells Road. The single story building on the right originally housed the treatment rooms. 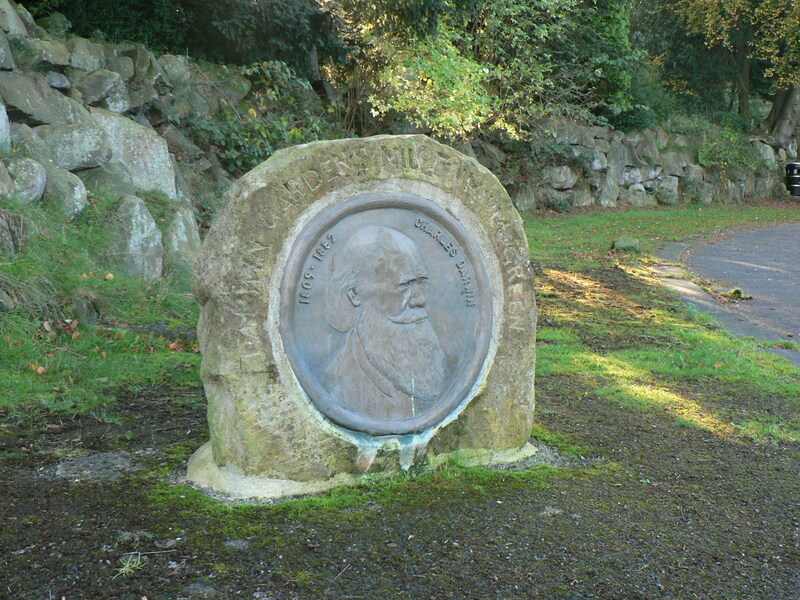 Darwin came to Ilkley on the 4th October 1859 to undergo hydropathy (“the water-cure”) at the prestigious Wells House Hydropathic Establishment which had opened three years earlier. Ilkley’s reputation as a hydropathic centre was established by Dr William MacLeod at the Ben Rhydding Hydro, which opened in 1844. The Ben Rhydding establishment fell into disuse after the Second World War and was demolished in the 1950’s. Wells House, however, survives as a building, although it is now given over to luxury apartments. Access to the interior is solely the prerogative of the residents, but the handsome exterior can be viewed at close quarters when its overall design by Yorkshire’s foremost architect of the day, Cuthbert Brodrick, can be readily appreciated. 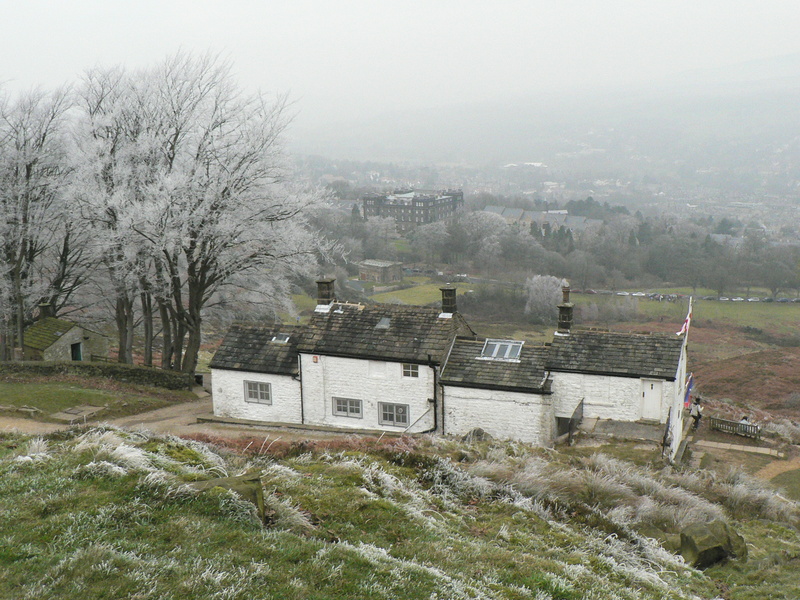 Wells House can be found, fittingly, at the top of Wells Road (LS29 9SP) From there the energetic visitor can walk up to the old bath-house, White Wells, on Ilkley Moor. Figure 2. White Wells in winter frost. Wells House stands below, now surrounded by mature trees - and houses. White Wells was constructed in the first half of the seventeenth century close to a spring issuing from the hillside. Ilkley owes its development to this so-called ‘spaw’, and it has since become something of an icon for the town and its residents. Although the water issuing from the drinking fountain had no dissolved minerals, it gained a reputation for purity and softness that allowed it to ‘reach the utmost and finest limits of the circulation’. The plunge-bath depended for its efficacy on the coldness of the water which was consistently around 4°C, summer and winter. After ten minutes immersion and a brisk rub-down by the bath-attendant, the bather experienced a feeling of health-giving warmth accompanied, no doubt, by a sense of relief at surviving the icy shock to the system. However, Darwin and the other guests at Wells House are unlikely to have availed themselves of these rustic amenities. Wells House was equipped with a splendid suite of treatment rooms and baths (situated at basement level beneath the eastern terrace of the hotel), under the supervision of the resident physician, Dr Edmund Smith, a man who, according to Darwin; ‘cared very much for the fee and very little for the patient’. For much of his stay Darwin was in reality an out-patient, living in rented accommodation adjacent to the hotel. Figure 3. Wells Terrace (now Hillside Court). The building originally comprised three houses, two west-facing at the front and a third, north-facing, house (North View) that was occupied by Darwin and his family. Darwin was joined by Emma and the children on the 17th October and the family took up residence in one of the three houses that made up Wells Terrace. The building, which was constructed in 1857, also survives as apartments and can be found at the junction of Crossbeck Road and Wells Road (LS29 9TF). 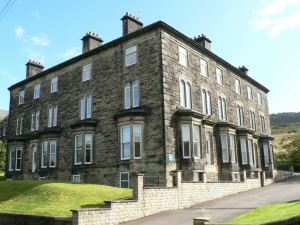 For many local residents the association with Darwin is secondary to their own ‘origins’, the building having been used for many years as Ilkley’s Maternity Hospital – ‘St. Winifred’s’. The broadcaster and writer, Alan Titchmarsh, was born here in 1949, although the Blue Plaque on the building recalls the Darwin connection and not the birth-place of this latter-day celebrity. Darwin and Emma occupied the north-facing house on Crossbeck Road; perhaps its northerly aspect made it particularly dismal. Certainly their daughter Henrietta described their stay in Ilkley as; ‘a time of frozen misery’, but this comment might not be solely attributable to the prevailing climatic conditions. 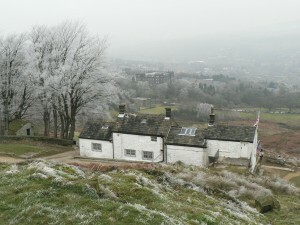 The family left Ilkley on November 24th , the day of the official publication of the Origin. Darwin returned to Wells House, finally leaving for London on December 7th, a stay of just under nine weeks. Across Wells Road from Wells Terrace is Ilkley’s most tangible acknowledgement of the Darwin connection – ‘Darwin Gardens’. The ‘Gardens’ are something of a misnomer in that they comprise an open area of grass enclosed by shrubs and trees, and were created in 2000 as the town’s Millennium Project. However, visitors with accompanying children will find the paved maze an enjoyable distraction from tracing the great man’s footsteps. There is a car-park at the top of Wells Road immediately below Darwin Gardens (turn right after the cattle-grid) which would serve as a useful starting point for an exploration of Darwin’s Ilkley.